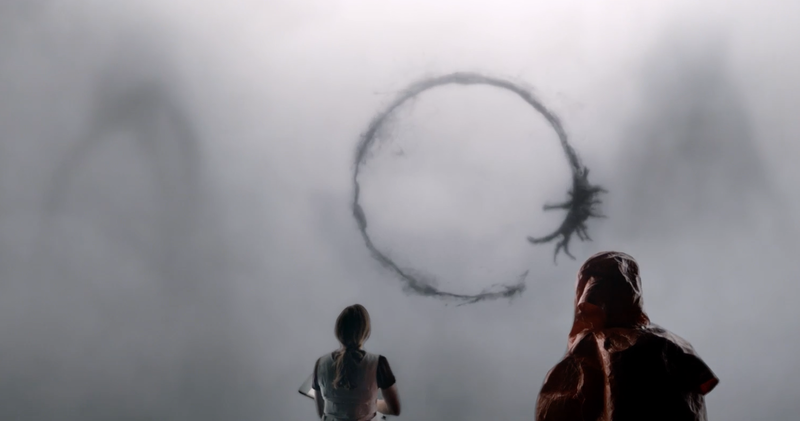 This review features what could be described as spoilers - I'd recommend reading this only once you've seen Arrival for yourselves. America is rioting over the actions of their government. Environmental activists march around with placards held aloft whilst a boisterous bunch of dissident campaigners demand the powerful elite act in a way to "save" their own kind. Radio streams are broadcast live on the internet as the hosts work themselves up into apoplectic rage. 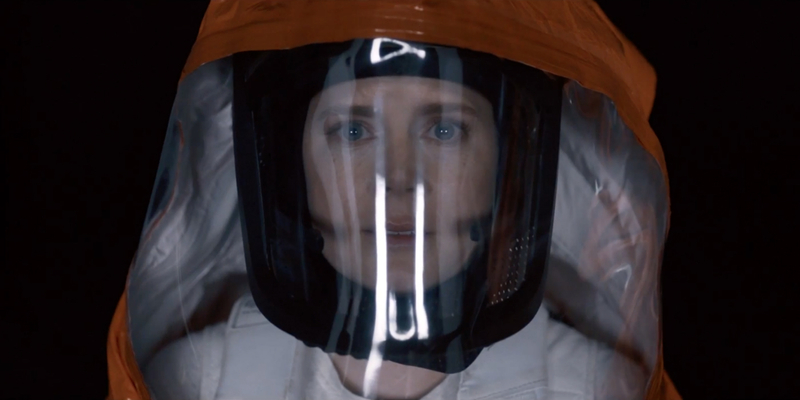 This is the America we see on-screen in Arrival, Denis Villeneuve's latest movie, and one which fairly captures the anger arising from a country torn in two by the most divisive presidential campaign in recent history. Yet, at its heart, the tale here is one crying out (cloyingly, ham-fistedly and patronisingly) for tolerance and liberalism - something which means the film already feels rather dated and, in a sense, accidentally cruel. The victory of Trump, the white supremacists at Breitbart and their acolyte alt-Right trolls, means the age of a cosy, globalist liberal consensus is dead. What comes next is uncertain, but it would be quite a leap to suggest that Villeneuve's film will be indicative of it. The movie stars Amy Adams - an actress so luminous and charismatic that any film she graces is instantly elevated by her presence. Here she plays a linguistic professor recruited by the US government to do some translation work for them. Whilst previously it is Farsi she has decoded for the Americans, her latest assignment comes in the form of deep scrapes, growls and noises which to our ears sound more like cacophony than any obviously recognisable form of human language. The reason for this is straightforward - the sounds, we learn, are those being produced by unidentified alien pods which have landed in twelve different locations across the globe. Can Louise (Adams) and her team of men (including Jeremy Renner, Forrest Whitaker and no other women) decipher what the aliens are trying to tell them? And can they beat their rivals stationed at the other eleven pods across the world to an answer before calamity ensues? The film begins to unspool as we watch the manner in which the humans and the alien "heptapods" learn to communicate with each other. Long, long sequences of solving hieroglyphs dominate before we're brought to the ultimate meaning of the movie. To state there's a hefty cultural imperialist tone which underpins the feature's message is an understatement - Villeneuve's film tells us that if we only tried to understand one another, and to see things from the perspective of others, we will be able to bring about world peace. Simultaneously, however, the script does make it clear - its the Chinese and Russians who should be seeing things from an American perspective and not vice versa. Liberalism only stretches as far as the dominant culture preaching allows it to. The folk of the USA are wiser and more level-headed, Arrival shows us, than their European and Chinese rivals and that their perspective is clearly "the right way". Perhaps, as we witness the liberal centrists of Britain and the USA flail around trying to understand their constant, bruising defeats of late, Arrival could come to be a case study in where exactly liberalism went wrong - it's exactly the sort of sentiment displayed in this film which shows why an anti-establishment mood has grown around the world. Arrival feels like a lecture, and a contradictory one at that, the type of which is reflected in the words of liberal governments across the West. People who voted Trump and Brexit, and those gearing up to vote Le Pen and other odious figures of the far-right, are sick of being preached to and told by the elites that their way is the correct one. 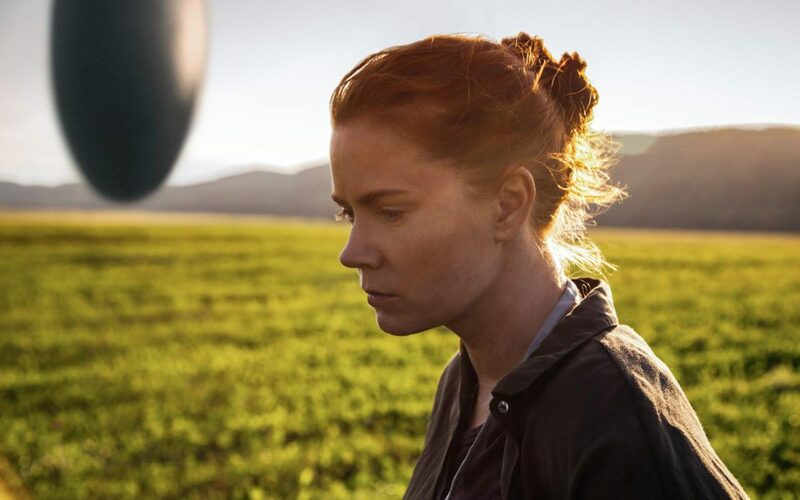 Although Arrival is a movie nominally set in the not too distant future, with the hyperspeed the Western order appears to be collapsing, the message here seems to have come from an increasingly distant past.